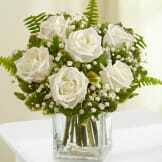 Fill their memories of lost loved ones with the peace and serenity of our graceful basket arrangement. 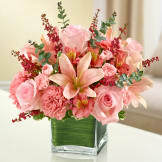 Beautifully hand-designed by our florists with elegant white roses, pink lilies, pink carnations and pink alstroemeria. 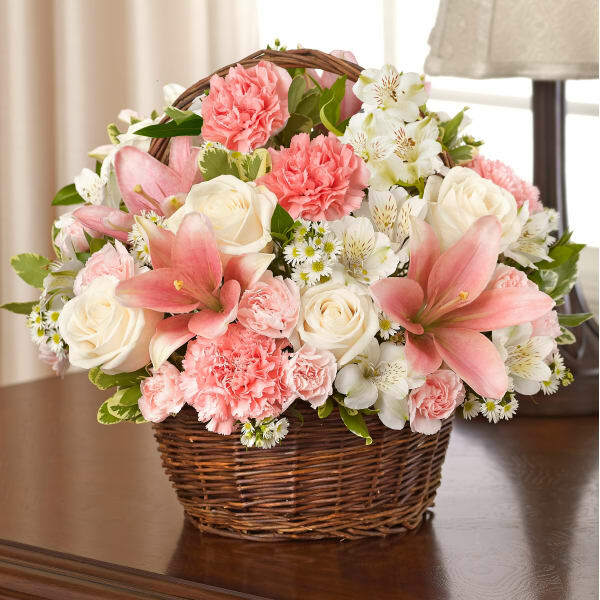 • Peaceful pink and white arrangement of roses, lilies, alstroemeria, carnations, mini carnations and monte casino, accented with variegated pittosporum and myrtle.